TTL Wireless flash trigger ONLY for Sony DSLRs with MI shoe, 1/8000th High-speed sync. 2.4G Wireless Remote Control and Grouping System( max. 5 groups & 32 channels). 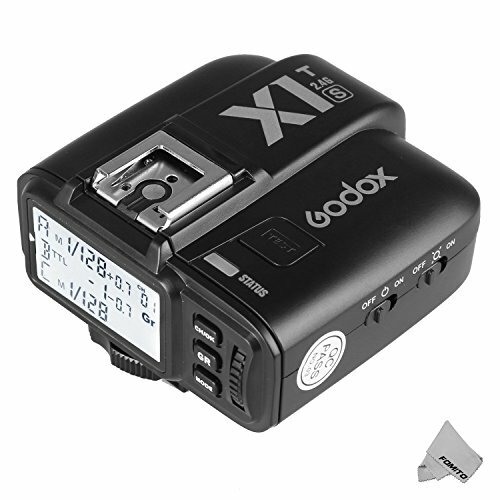 Compatible with all of Godox's strobes providing 2.4GHz X system radio receivers built inside, like AD600 AD600M AD200 AD360II TT685S V860IIS TT350S TT600S QuickerII, etc. Remote manual Godox strobes without built in radio, like AD360, and V850 can also be fired and controlled via X1T-S transmitter, using clip on XTR-16 and XTR-16s radio receivers attached to the strobes. Fit for Sony A77II A7 A7II A7R A7RII A58 A99 ILCE6000L cameras.